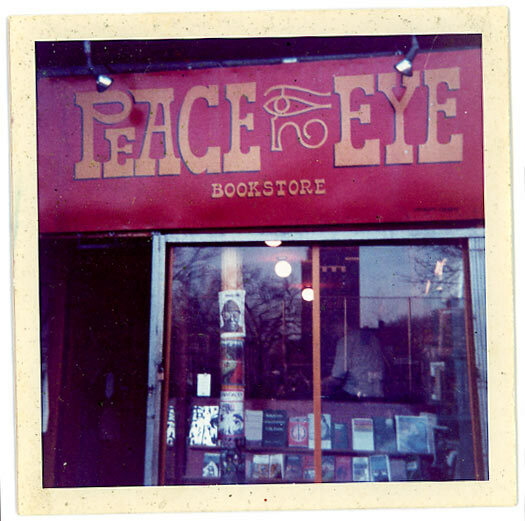 Above is a photo from 1968 of the Peace Eye Bookstore, located at 147 Avenue A in the Lower East Side of NYC. The sign was created by noted artist Spain Rodriguez (who also painted the Free Store Sign around the corner on 10th Street.). Peace Eye was a well known cultural center for its era, for instance sponsoring the first exhibition of important comic artists such as R. Crumb, Art Spiegelman, Spain Rodriguez, Kim Deitch, and others. Peace Eye also served as a community print center, and was a stopping off point for the underground railroad helping people flee the war. America's first LeMar demonstrations were organized out of Peace Eye. We will be selling books, tractata, pamphlets, posters and ephemera from our collection. To order, print this form, fill it out and mail it to the below address.